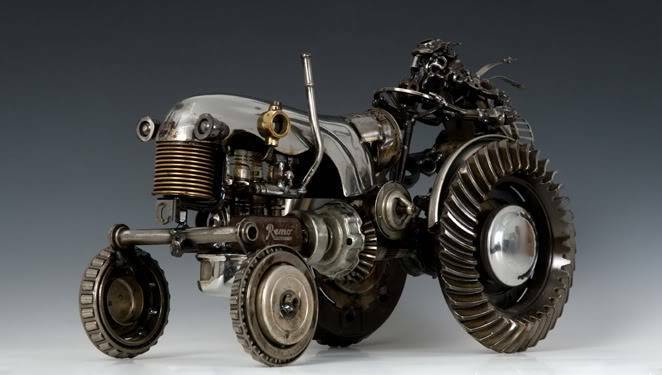 automobile parts by a gentleman in Australia. 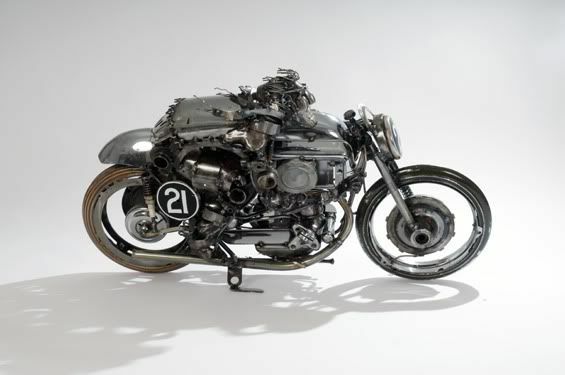 Check out all the Spark Plugs! 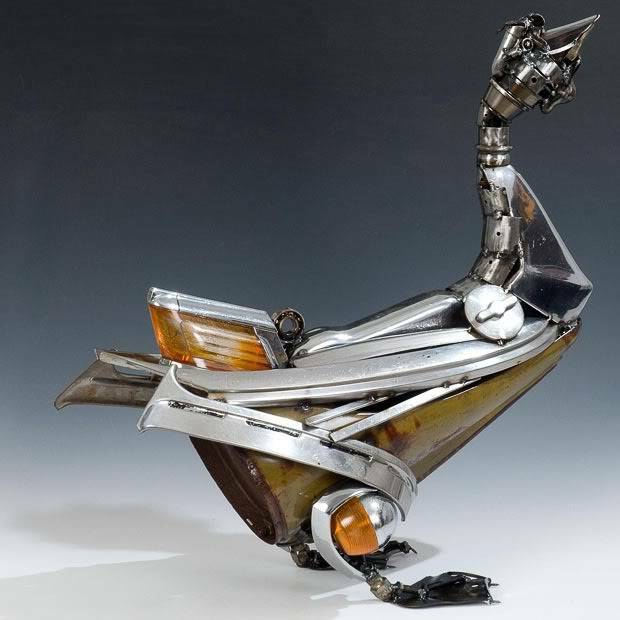 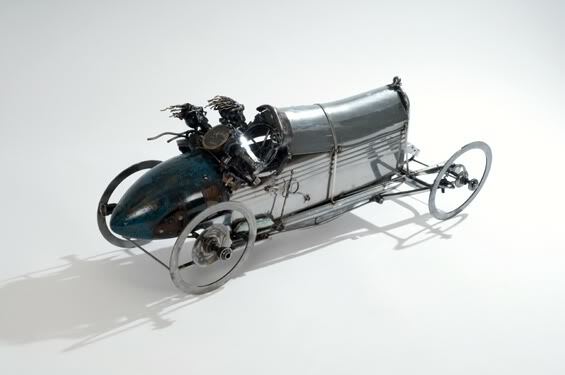 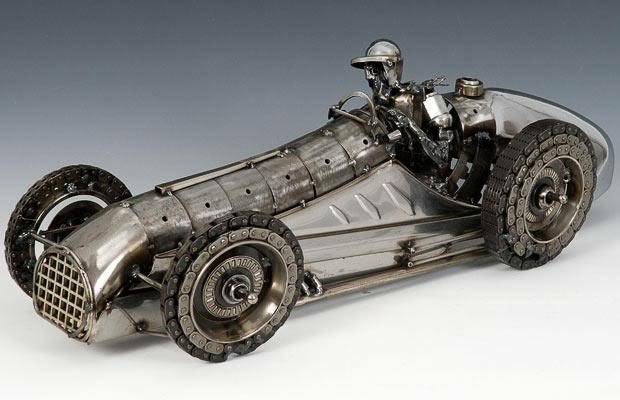 James Corbett uses remnants of old cars of the 1950s and ' 60s. 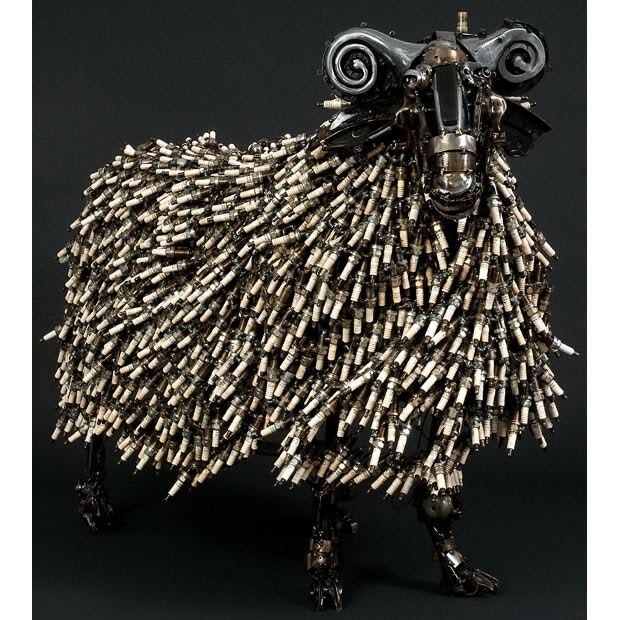 One of the pieces, a ram made from spark plugs, sold for a whopping $23,000! 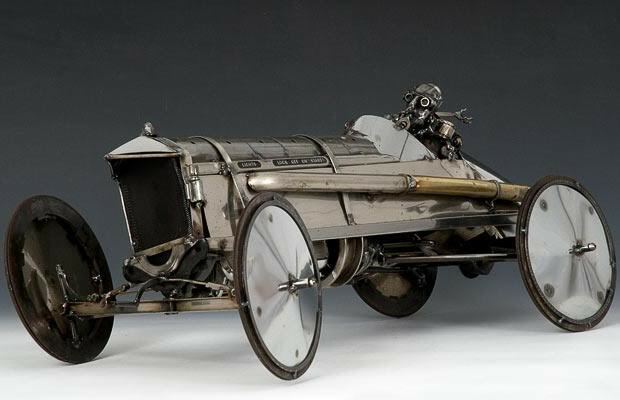 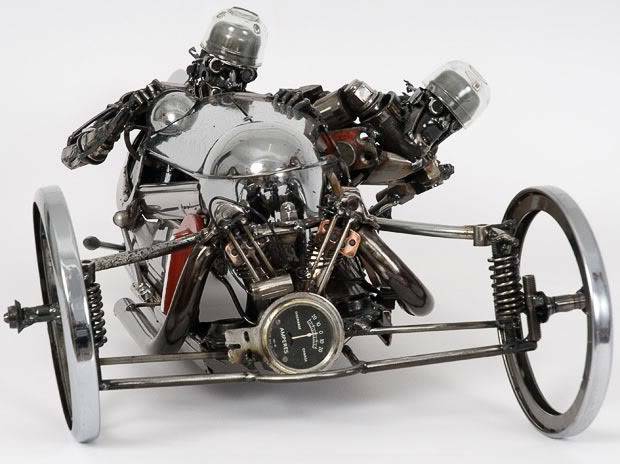 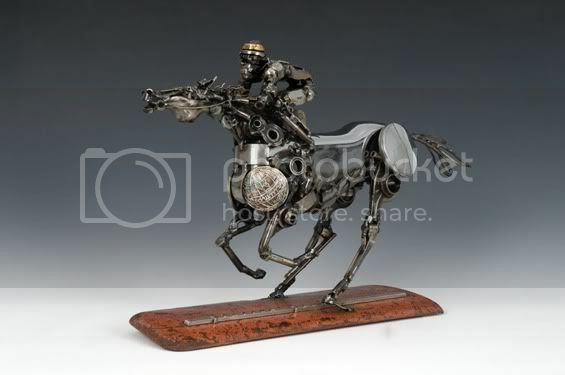 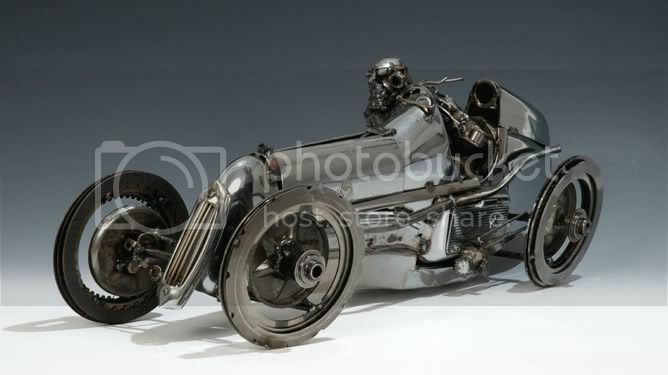 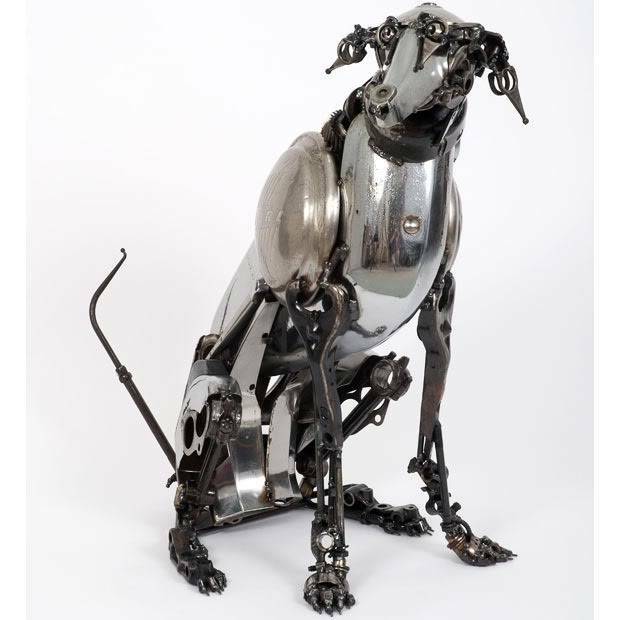 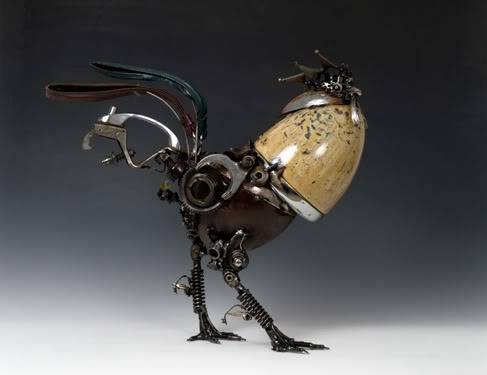 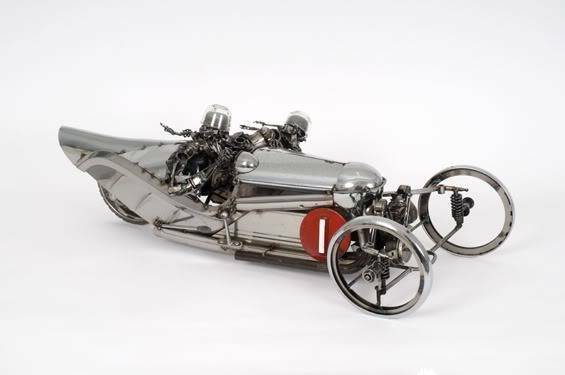 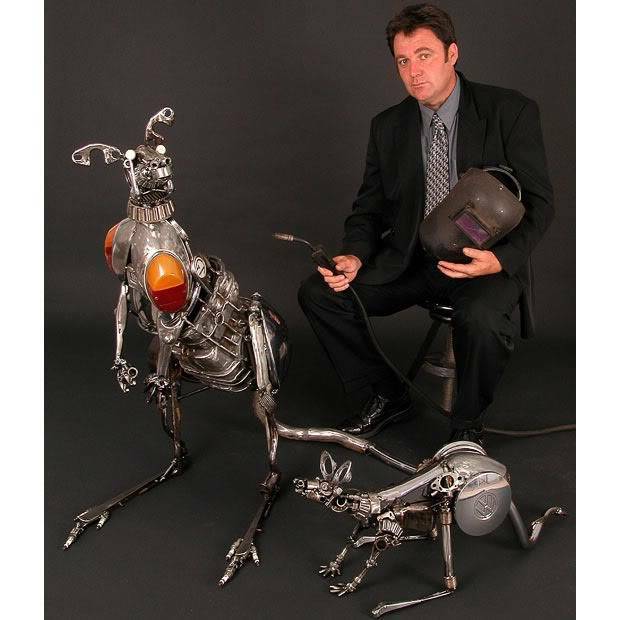 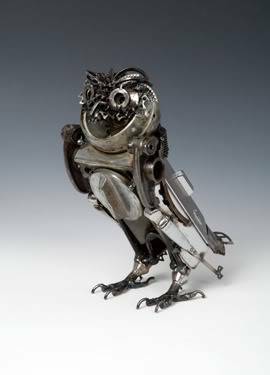 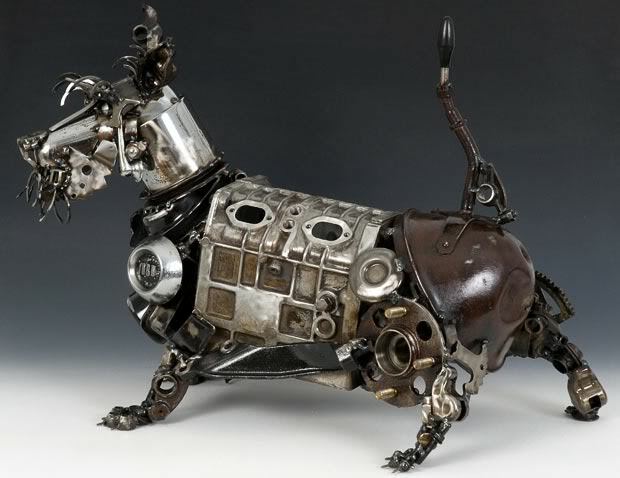 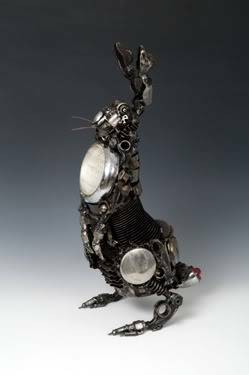 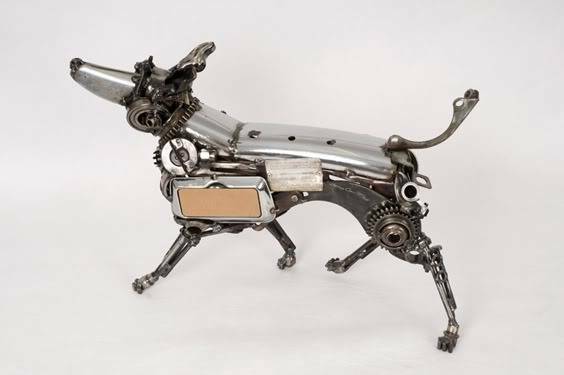 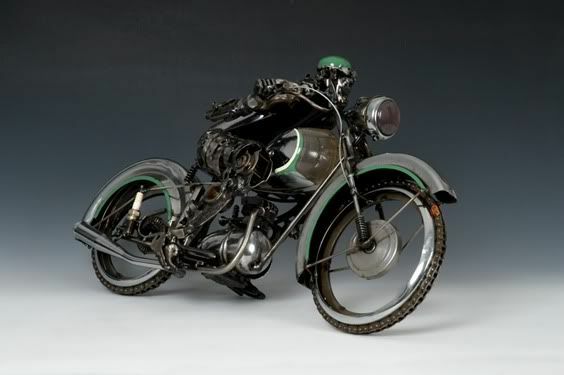 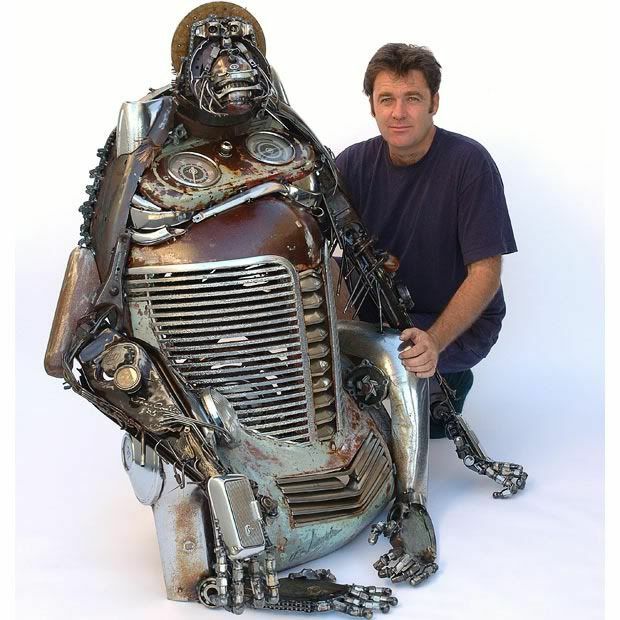 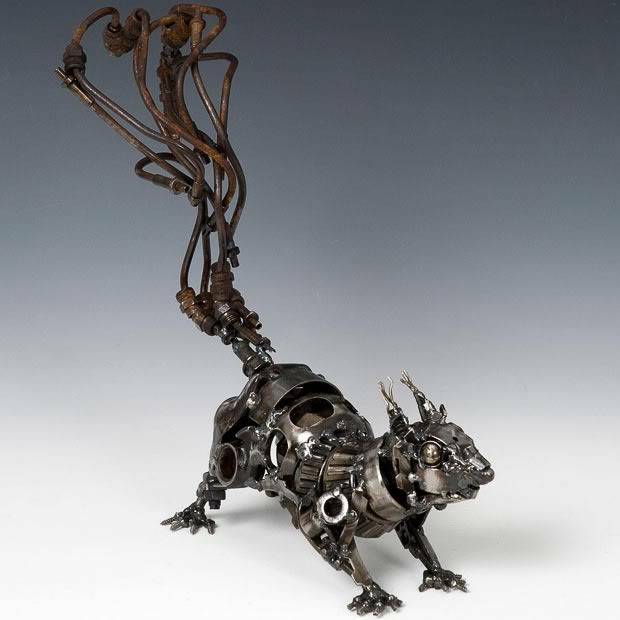 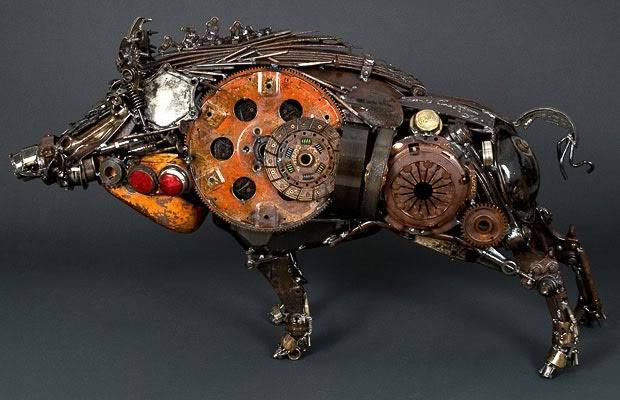 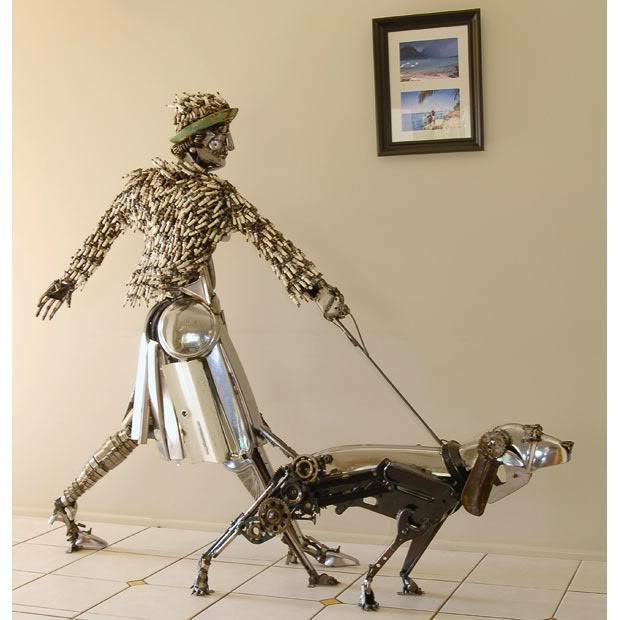 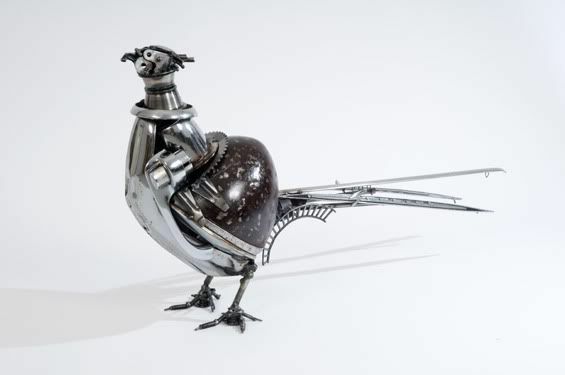 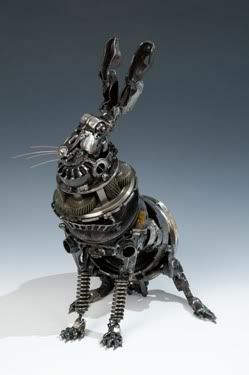 His sculptures are made of gears, spark plugs, exhausts, radiators, anything that the artist can salvage. 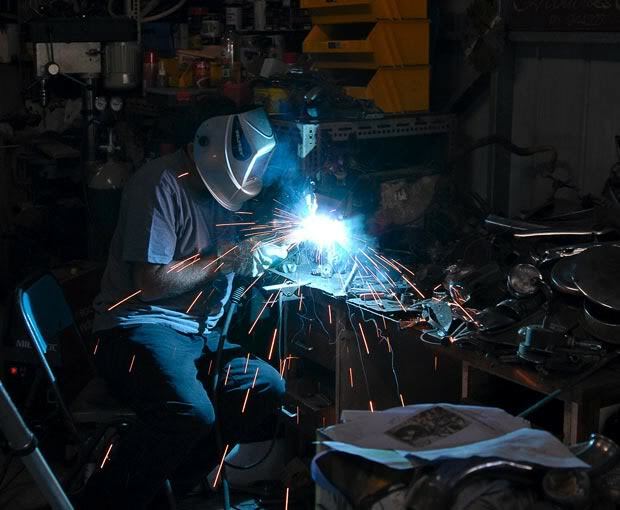 After spending weeks dedicated to locate suitable pieces, James meticulously cleans every part and welds them together. 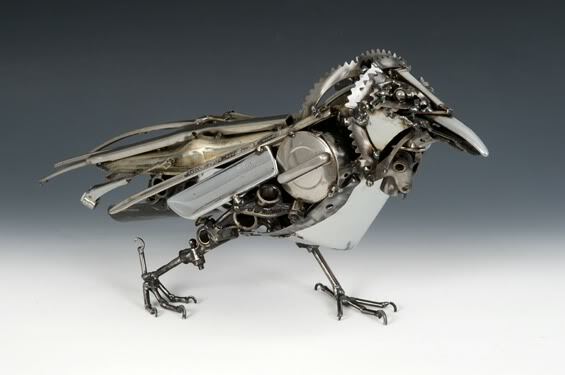 Crazy. 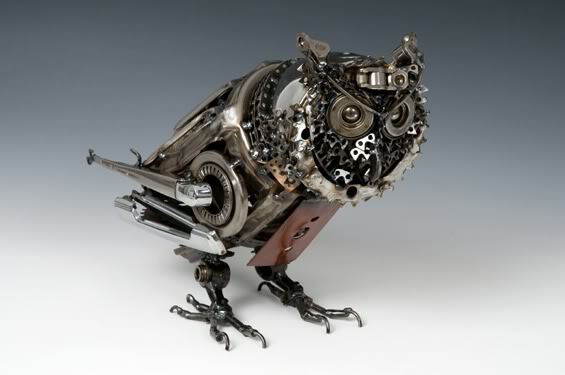 Just goes to show you, ones trash is anothers treasure.